If you have never read the Reader’s Choice Polls by the Sun Gazette, you’re missing out on a real treat – it’s a truly great resource for finding tasty restaurants and award-winning service providers. The poll goes on to list churches, child care facilities, movie festivals, salons, doctors, and resources for pets. Every year it’s a little different, but it’s always interesting. In years past, there has been a community event coordinated by InsideNOVA to showcase all the winners. 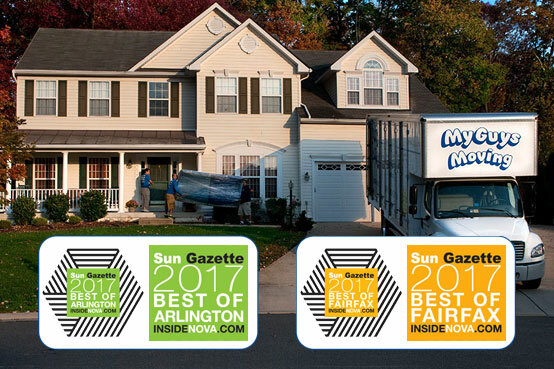 We like attending the event as an opportunity to thank everyone for voting us “Best Moving Service in Arlington” and “Best Moving Service in Fairfax” since we can’t do it without you! So check our Facebook page for when and where the event will be held, and bring the kids for free giveaways like balloons and little toy moving trucks. And as always, remember… Have Your Guys, Call My Guys!